RIDA Celebrates Grand Openeing of Gaylord Rockies, the largest hotel project in the U.S. The Hotel & Lodging Association of Greater Houston Lifetime Achievement Award presented to Ira Mizner. Today the Americas Lodging Investment Summit (ALIS), honored the executives and companies responsible for the most influential hotel industry deals in 2018 with the prestigious ALIS awards. The winners were announced on Wednesday, January 30th, during the ALIS conference, which ran from January 28-30, 2019 at the JW Marriott and Microsoft Theater at L.A. LIVE. Nominees for the awards are evaluated based on outstanding business performance in various industry sectors. Gaylord Rockies Resort & Convention Center in Aurora, Colorado was named Development of the Year (Full Service) 2018 (includes branded and unbranded - luxury and upper upscale chain scales, and casinos). Finalists in this category also included Omni Louisville Hotel in Louisville, KY, and The LINE DC in Washington, DC. Hilton Garden Inn Chicago, Hampton Inn by Hilton Chicago and Home2 Suites by Hilton Chicago McCormick Place in Chicago, IL was named Development of the Year (Select/Limited Service) 2018 (includes branded and unbranded - upscale, upper midscale, midscale, and economy chain scales). Finalists in this category also included Columbia Place in Washington, DC and Radisson RED Downtown Portland in Portland, OR. Royal Crescent Hotel - New Orleans, LA was named Transaction of the Year (US$25M & Under) 2018. Finalists in this category also included the Holiday Inn Chicago in Tinley Park, IL and the Quality Inn & Suites Cocoa Beach in Cocoa Beach, FL. The Waldorf Astoria Las Vegas in Las Vegas, NV was named Transaction of the Year (Over US$25M) 2018. Finalists in this category also included The Plaza Hotel in New York, NY and The VinoyÂ® Renaissance St. Petersburg Resort & Golf Club in St. Petersburg, FL. 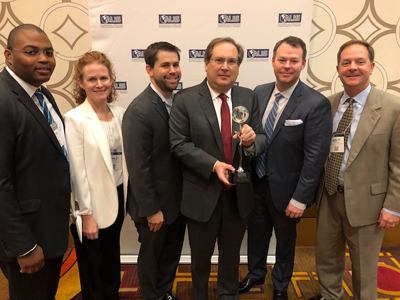 Christopher Jordan, EVP, Hospitality Finance Group, Wells Fargo was named Jack A. Shaffer Financial Advisor of the Year 2018. Finalists in this category also included Naftali Holtz, Managing Director, Head of Lodging & Leisure Investment Banking, Goldman, Sachs & Co, and Aaron Weiss, Managing Director, Head of Lodging, Citi. JP Ford chaired the ALIS Development of the Year committee, John Karver chaired the Transaction of the Year committee, Michael Murphy chaired the ALIS Merger & Acquisition of the Year committee and Thomas J. Corcoran chaired the ALIS Jack A. Shaffer Financial Advisor of the Year committee. Produced by Northstar Travel Group, in association with the American Hotel & Lodging Association (AHLA) and Burba Hotel Network (BHN), the two-and-a-half-day ALIS event featured an extensive array of seminars and panels hosted by leading experts and investors discussing important trends and identifying new opportunities. The conference attracts the lodging industry's leading hotel executives, investors, lenders, developers, and professional advisory community. Conde Nast Traveler readers rate the Omni Orlando Resort at Championsgate #1 in the Orlando Area. 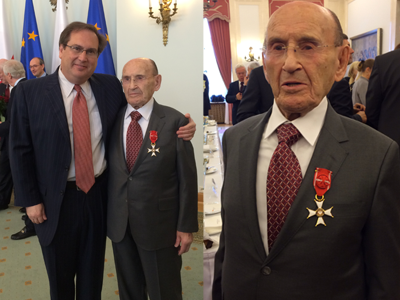 RIDA Development Corp. announced today that that their chairman and founder David Mitzner has received the Order of Polonia Restituta in the presidential palace in Warsaw, Poland at 11am on Monday, November 3rd. Mr. Mitzner is receiving the award in recognition of his service to the country in the years after the fall of the Soviet Bloc. He became a leader in the development and rebuilding of office, retail, and industrial infrastructure needed for the modernization of the country after decades of communist rule. Apollo-RIDA Poland, RIDA's European subsidiary, is one of the largest private real estate holders in central Europe and has been doing business from their European headquarters in Warsaw since 1995. "We are very proud of our chairman and founder for receiving this prestigious award. The honor is well deserved after the decades of effort that my father has invested in his country of birth," said Ira Mitzner, President of RIDA Development. David Mitzner, a holocaust survivor was imprisoned for eight years in the Russian Gulag before immigrating to the United States. Ira stated further, "He is the true embodiment of the American dream, who later in life decided to return to Poland to help in the rebuilding of his childhood homeland. To receive such an outstanding honor is truly a reflection of all he has accomplished in his lifetime." The Order of Polonia Restituta is one of Poland's highest honors. The Honor has been given to other notables including General Douglas MacArthur, Simon Weisenthal and Wladyslaw Szpilman, the renowned Polish pianist. RIDA Development Corporation is a full service real estate organization that has created and invested in innovative and economically successful office, residential, industrial, hospitality and retail developments for more than forty years. RIDA Development's corporate headquarters is located in Houston, TX with regional offices in Orlando, FL, and Warsaw, Poland. These centralized locations allow RIDA to oversee its projects in the US as well as Europe. Among RIDA's strategic relationships is a longstanding partnership with AREA Property Partners with whom they have co-invested over three and a half billion dollars in development on three continents. As the managing partner of over 15 million square feet of real estate, RIDA is one of the largest private real estate investors in Eastern and Central Europe with substantial assets in the United States. The Order of Polonia Restituta (Polish: Order Odrodzenia Polski, English: Order of Rebirth of Poland) is one of Poland's highest Orders. The Order can be conferred for outstanding achievements in the fields of education, science, sport,culture, art, economics, national defense, social work, civil service, or for furthering good relations between countries. It was established on 4 February 1921 and can be awarded to both civilians and soldiers, as well as to foreigners. HOUSTON, TX -- The 1,000-room Marriott Marquis in east downtown will address a shortage of hotel rooms, attract big conferences to the city and spur economic development in the area, business leaders said at a groundbreaking ceremony Friday. They were gathered in a parking lot that will make way for the 30-story hotel, Houston's second giant hotel near the George R. Brown Convention Center. Construction is slated to begin April 21 and the hotel is set to open September 2016. "This hotel along with everything else going on down here is going to be a game-changing opportunity for the convention district," said Ric Campo, chairman of Houston First Corp., the quasi-public agency that manages the convention center. "It's an incredible opportunity for an iconic shift in Houston." Leaders say the hotel and other projects in the area, often the first and only impression of Houston for visitors, will boost the city's convention business, transform the east end of downtown and drive the economy. The Marriott Marquis will join the Hilton Americas Houston near the convention center. City officials and business leaders hope the two hotels, with a total of 2,200 rooms, will attract the top-notch conferences that are believed now to shun Houston because of its shortage of rooms nearby. Campo said he expects convention business to double once the second hotel is in place. "It will make Houston better than it is today," said Arne Sorenson, president of Marriott International. The Marriott Marquis will include 60,000 square feet of amenity deck space overlooking Discovery Green. The hotel will have 100,000 square feet of meeting space. 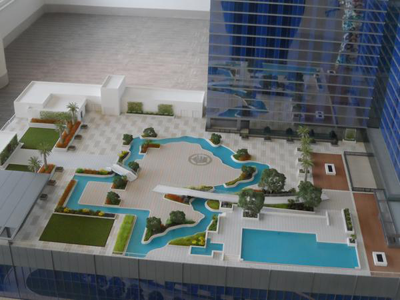 The hotel itself will have components on the ground floor. Renovations to the convention center also include new retail. Financing for the $335 million project will come in part from Houston First. The agency is providing funds to buy the hotel site, build an adjacent parking garage and make other improvements around the convention center, including adding retail space. In 2012, the Houston City Council approved nearly $138 million in economic development incentives and tax rebate agreements to jump-start a second convention center hotel. Houston-based RIDA Development will own the hotel. RIDA president Ira Mitzner said with all the investments in the east end of downtown, Houston could become within five years one of the top cities for attracting conferences and conventions. There are 15 hotels in downtown Houston now, and eight more are planned. Meanwhile, Houston First is building a 2,000-car parking garage near the convention center and has a plan to rebuild Avenida de las Americas and build in front of the convention center to make the area more walkable. That project has yet to be formerly approved. HOUSTON, TX -- With necessary agreements finalized, work can begin on Houston's second convention center hotel, which will be next to the George R. Brown Convention Center. 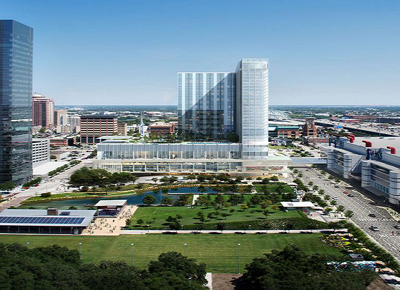 The city of Houston, Houston First Corp. and Houston-based RIDA Development Corp., the hotel's developer, said Tuesday the development agreement between Houston First and RIDA has been finalized. Houston First's financing â€“ which will fund the acquisition of the hotel site, construction of an adjacent parking garage and other improvements to the convention district â€“ is also complete, and Houston First has been authorized to transfer the hotel site's land to RIDA. Geotechnical work on the project is expected to begin within the next two weeks, and construction should begin next year. Completion is targeted for spring 2016. Houston-based Morris Architects unveiled renderings of the $335 million, 1,000-room Marriott Marquis late last year. 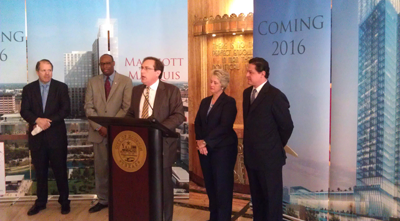 Houston will be the sixth city in the U.S. with a Marriott Marquis. The project will create more than 1,800 construction jobs and add 800 permanent jobs, according to Houston First's Tuesday statement. The new parking garage will add 1,800 parking spots for hotel guests and George R. Brown visitors. Houston First said it plans to issue a request for qualifications for a garage developer soon. HOUSTON, TX -- A Houston-based developer has been selected from nearly a dozen teams vying to build a second 1,000-room convention center hotel in downtown Houston. Houston First Corp. announced late Tuesday that it selected RIDA Development to enter into exclusive negotiations to build the property. While the hotel is expected to be privately financed, it is also likely to receive tax rebates from the city and state. The hotel would be built on the block immediately north of the Discovery Green park and attached to the Convention Center via a skybridge. Campo said RIDA had the most competitive proposal with a strong design, which will "energize that part of the city." "We are so excited to be developing this transformational hotel in our home city of Houston," RIDA Development President Ira Mitzner said in a statement. "We look forward to the day when Houston competes among the best convention destinations in the United States." Convention officials have said that adding more hotel rooms to the downtown hotel market will boost the city's convention and meeting business. RIDA is not new to such large-scale hotel developments. One of its recent projects was a 1,400-room convention center in Orlando, Fla.
"It was a privately financed deal and very successful," Campo said. RIDA and Houston First will continue to negotiate a term sheet for the project. Ultimately, the mayor and City Council must approve the proposal. Campo said he hopes to see the hotel break ground in 2014 and open in 2016. HOUSTON, TX -- For decades, Houston- based RIDA Development Corp. has operated largely under the radar in its hometown. But recently, the family-run real estate firm was thrust into the local spotlight when its development proposal was selected for a 1,000-room convention center hotel in downtown. The company hasn't tried to stay out of local headlines intentionally, said president Ira Mitzner, explaining that most of its projects are in other places. "We are so excited to be doing something at home," he said. Founded by Mitzner's father, David Mitzner, RIDA has amassed a multibillion-dollar real estate portfolio with major holdings in Florida and Poland. The elder Mitzner was born in Warsaw and emigrated to New York after World War II. Prior to coming to the United States, he spent eight years in a Russian prison camp and lost both parents in the Holocaust. In New York, he was first a hosiery manufacturer. He started a real estate business in 1972, which he moved to Houston in 1980. Mitzner - now in his 90s - splits his time between Warsaw and Houston. When he's here, he comes into the office every day, his son said. A family of deep faith, the Mitzners are active in Houston's Jewish community as well as in Holocaust remembrance efforts in Israel and Washington. Over the last decade, the company has ramped up its U.S. convention center hotel business. It's been involved in the development of a handful of properties, including a 1,400-room Hilton in Orlando and the recently rebuilt 1,200-room Hyatt in New Orleans. RIDA was chosen to move forward with exclusive negotiations to build the hotel because it offered the "most competitive proposal," said Ric Campo, chairman of Houston First, the group behind the effort. The proposed hotel would span around 1 mil- lion square feet and make a striking mark on the city's eastern skyline, Ira Mitzner said. The building site is just across Discovery Green from the Hilton Americas-Houston. A skybridge would connect it to the George R. Brown Convention Center. Houston First, which owns the Hilton and manages the convention center and other city buildings, has an option to purchase the land for the hotel from the Houston Endowment. The property would feature a resort-style deckfor outdoor activities as well as multiple restaurant and retail venues designed to encourage pedestrian activity in and around the hotel. Houston First initiated the effort to build the hotel because, it said, more rooms would help the city attract bigger conventions. Earlier this year, the group solicited qualifications from developers and designers. RIDA was one of 11 teams that responded. The RIDA team includes Houston-based Morris Architects and Looney & Associates of Dallas for interior design. Florida-based Welbro Building Corp. is expected to partner with a local general contractor to build the tower. The building's design "creates the kind of buzz we're trying to create in the neighborhood," Campo said. At the beginning of the year, Houston First announced a sweeping plan to transformthe eastern part of downtown into a more vibrant neighborhood where buildings are developed on vacant lots and shops and restaurants line the streets leading up to the convention center. "The strategy is to see how to create more on the ground than just the hotel," Mitzner said. On the financial side, RIDA will partner with Ares Management, a New York fund management firmformerly known as Apollo Real Estate Advisors. The firm has provided equity on numerous RIDA developments. The cost to build the hotel is expected to be in the $350 million range, but details are still being negotiated and have not been released. The hotel is expected to be privately financed; it is also likely to receive tax rebates from the city and state. Mitzner said the company is in discussions with hotel operators and expects to pick one in the next 90 days. He anticipates spending about another year in the design phase and breaking ground on the hotel in early 2014. Construction is likely to take around two years. "The Final Four is in April of 2016," he said, "and we would love to be one of the host hotels." September 15, 2010 -- RIDA Development Corporation was chosen as the Construction Manager for the redevelopment of Sheraton Safari Hotel and Suites on Lake Buena Vista Drive in Orlando, FL. The Sheraton Safari was purchased in December 2010 by Ares Management, Winston Harton Holdings LLC, and an affiliate of RIDA Development. RIDA has hired local architect Baker Barrios to lead the design effort and has tasked Welbro Construction for the role of General Contractor. Welbro and RIDA have previously teamed up on the Hilton Orlando and The Omni at ChampionsGate Resort. The 489 room landmark hotel will undergo a $25 Million renovation which will expand and update the conference facilities, modernize guestrooms and family suites, add a fitness center, upgrade the restaurant and lounge, as well as all common areas of the hotel. The renovations are planned for completion by spring 2012. Previously AREA and RIDA have collaborated on more than $3 billion in property acquisition and development on 3 continents including the Hilton Orlando which resulted in the partners receiving the 2009 Developer of the Year Award by Hilton hotels. ORLANDO, Fla. -- In a ceremony that took place at the new 1,400-room Hilton Orlando, Hilton Orlando General Manager Doug Gehret, Ares Management Global Chief Executive Officer Lee Neibart and North America Opportunity Funds Business Leader John Jacobsson, Hilton Hotels Corporation Senior Vice President Ted R. Ratcliff, and RIDA Development Corporation President Ira Mitzner and Founder David Mitzner officially cut the ribbon, signifying the hotel's opening before the grand opening celebration. The partnership between Hilton Hotels Corporation, Ares Management and RIDA Development Corporation brought one of the largest new hotels in the country, and more than 650 jobs, to Central Florida. The first hotel to provide a covered open-air walkway to the Orange County Convention Center, the Hilton Orlando is a smart choice for today's business and leisure travelers, offering world-class facilities and amenities for both. Today's environment encourages a more serious, business-focused setting, yet the need to have fun and relax remains strong for reasons of health, productivity, and well being. Designed with these important factors in mind, the Hilton Orlando features a discreet separation between 175,000 square feet of meeting facilities and its recreational amenities, allowing each type of guest to experience the stay that meets their unique expectations. Guests looking for leisure and relaxation stay can enjoy the Hilton Orlando's many resort amenities, including the two pools, lazy river, nine-hole executive golf course, full-service spa, and basketball, tennis, and bocce courts. Located on Destination Parkway at the crossroads of I-4, the Beach Line and International Drive, Hilton Orlando is in the heart of Orlando's famous attractions area and just minutes away from Pointe Orlando, Sea World Orlando, Universal Orlando, Walt Disney World and a 15-minute drive to the Orlando International Airport. For more information, visit www.thehiltonorlando.com. The Hilton Orlando will feature 1,400 well-appointed guestrooms, including 53 suites. The more than 175,000 square feet of function space will include a 50,000-square-foot Orlando Ballroom, a 30,000-square-foot Orange Ballroom, a 15,000-square-foot Florida Ballroom, 21 meeting rooms and 9 boardrooms. 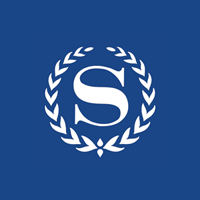 The property will include seven creative dining options including Spencer's for Steaks and Chops, David's Club bar and grill, and a marketplace. Onsite recreational amenities will include a resort pool, quiet pool, whirlpools, cabanas, lazy river, 15,000-square-foot spa and fitness center, jogging track, and basketball/tennis/volleyball/bocce ball courts. The Hilton Orlando is being designed by HKS Architects in Orlando and will be built by Welbro Construction Company. Ares Management was founded in 1993 by William Mack and the private equity firm Apollo Global Management, LLC as Apollo Real Estate Advisors. Today, AREA is an independent private partnership of real estate professionals with a rare blend of hands-on real estate experience and sophisticated capital markets expertise. AREA has overseen the investment of multiple real estate funds and joint ventures, through which it has invested over $9 billion in more than 465 transactions with an aggregate value in excess of $40 billion. Headquartered in New York City, and with U.S. offices in Los Angeles and Atlanta, as well as international offices in London, Luxembourg and Mumbai, the AREA funds target a broad range of opportunistic, value-added and debt investments in real estate assets and portfolios throughout North America, Europe, and India. Established in 1972 by David Mitzner, RIDA Development Corporation has achieved a national and international reputation for creating innovative, premium quality and economically successful real estate. Headquartered in Houston, Texas, with major operating divisions in Orlando, Fla. and Central Europe, principal officers, David, Jacob and Ira Mitzner have assembled a dedicated and highly competent team of professionals. RIDA has developed and is currently developing retail, office, distribution, residential, hotel and mixed-use land developments with a total value in excess of $5 billion. RIDA's projects have earned it a reputation as one of Florida's leading multi-faceted developers, building an outstanding portfolio of well-planned, high-profile and financially sound commercial and residential real estate. With more than 500 hotels and resorts in 76 countries around the world, Hilton continues to build on its history as a pioneer in the industry, developing products, services and amenities that offer today's travelers more choice and control over their stays. From Hilton Fitness by Precor® to its world-class Hilton Worldwide Resorts portfolio; from the Serenity Collection of in-room amenities to Hilton Meetings, a premier global product for small meetings, Hilton's offerings are designed to enable guests to be at their personal best whether they travel for business or pleasure. Hilton's belief that Travel Should Take You Places® celebrates a commitment to the idea that travel can and should be transformative. Start your journey at www.hilton.com, available in English, Spanish and French. 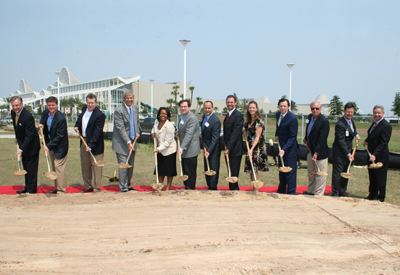 ORLANDO, Fla. - (May 17, 2007) - Hilton Hotels Corporation, Apollo Real Estate Advisors and RIDA Development Corporation announced today the groundbreaking of the 1,400-room Hilton hotel located south of the Orange County Convention Center. Hilton Hotels Corporation will manage the hotel with a minority ownership interest, while Apollo Real Estate Investment Fund V and RIDA Development Corporation will have majority ownership of the hotel. The 18-story hotel, which sits on 26.4 acres, is expected to cost approximately $380 million and is scheduled to open in the summer of 2009. "We are excited to bring this new and contemporary Hilton to Orlando's Orange County Convention Center and to help fill the need for high-end hotel rooms in the area," said Jeff Diskin, senior vice president, Hilton Brand management, Hilton Hotels Corporation. "The destination's vibrant personality combined with Hilton's upscale standards set the stage to make this property the convention center's flagship hotel." The hotel is to feature 1,400 well-appointed guestrooms, including 52 suites, and is to offer direct access to the south Concourse through a pedestrian sky bridge. The property is to include a 15,000-square-foot spa and fitness center, an Italian restaurant, a fine dining restaurant, an upscale sports bar, a lobby lounge, pool bar and grill and a deli. In addition, an abundance of recreational amenities will be offered. 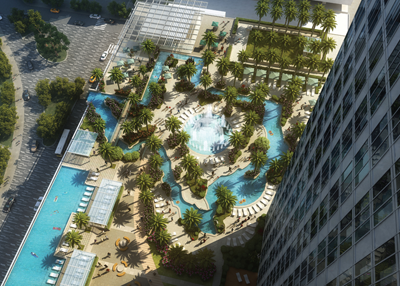 "The Hilton Orlando is a true full-service hotel that will not only serve the convention center but will also have a great leisure and spa component, allowing both conventioneers and leisure guests the opportunity to enjoy Orlando," said Ira Mitzner, president of RIDA Development Corporation, who will act as lead developer of the Project. The Hilton Orlando is poised to take advantage of a booming Orlando convention market that currently offers relatively few hotel rooms within walking distance of the convention center. The hotel is to feature more than 130,000 square feet of meeting space, which is to include a 50,000 square foot grand ballroom, a 30,000 square foot junior ballroom and 38 meeting rooms. The Hilton Orlando Convention Center is being designed by HKS Architects in Orlando and will be built by Welbro Building Corporation. "We are thrilled to be forming this unique partnership with Hilton, who will not only manage the new hotel but also be our partner in the deal," said John Jacobsson, managing partner of Apollo Real Estate Advisors. Established in 1972 by David Mitzner, RIDA Development Corporation has achieved a national and international reputation for creating innovative, premium quality and economically successful real estate. Headquartered in Houston, Texas, with major operating divisions in Orlando, Fla. and Central Europe, principal officers, David, Jacob and Ira Mitzner have assembled a dedicated and highly competent team of professionals to create and maintain a quality - and ever expanding - real estate portfolio. RIDA has developed and is currently developing retail, office, distribution, residential, hotel and mixed-use land developments with a total value in excess of $5 billion. RIDA's projects have earned it a reputation as one of Florida's leading multi-faceted developers, building an outstanding portfolio of well-planned, high-profile and financially sound commercial and residential real estate. The Hilton Orlando Convention Center is being designed by HKS Architects in Orlando and will be built by Welbro Building Corporation. Apollo Real Estate Advisors is a leading international real estate investor and fund manager. Since the firm's founding in 1993, Apollo has overseen the establishment of 16 real estate funds and joint ventures totaling approximately $8.7 billion in equity commitments for investment in the United States and globally. The Apollo funds have collectively invested in over 400 transactions with an aggregate value in excess of $30 billion. The firm's Web site is www.apollorealestate.com. 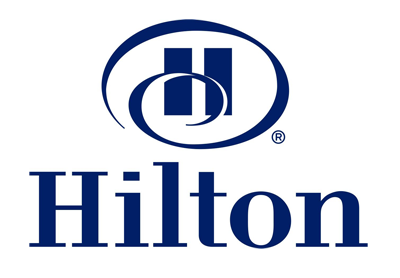 Hilton Hotels Corporation (NYSE:HLT) is the leading global hospitality company, with more than 2,800 hotels and 480,000 rooms in 76 countries and territories, including 100,000 team members worldwide. Mixed-use project to include 100,000 square feet of retail, office space. CHAMPIONSGATE, Fla. - (June 29, 2007) - ChampionsGate, a 1,500-acre, master-planned golf resort community in northwest Osceola County, plans to build a $60 million-$70 million, mixed-use downtown center near its existing shopping plaza, ChampionsGate Village. Preliminary plans include 100,000 square feet of office and retail space. It also could include up to 200 multifamily residences, depending on the housing market, says Marc Reicher, ChampionsGate's vice president of operations, who declines to reveal the timeline for the project. The driving force behind the expansion is the success of 6-year-old ChampionsGate Village, which is 100 percent leased. Demand for space at ChampionsGate Village remains strong, so developer RIDA Development Corp. began looking into ways to expand the retail element last spring. 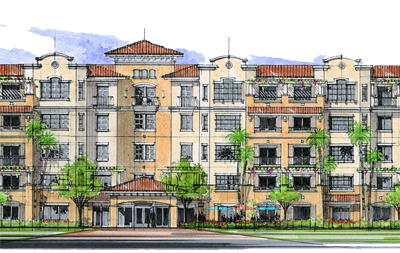 Plans for the new mixed-use project have yet to be submitted to Osceola County. Likewise, the firm hasn't set a date for the start of construction. The architect and contractor have yet to be selected for the project. The 63,000-square-foot ChampionsGate Village, at ChampionsGate and Legends boulevards, is one of the few existing shopping centers in that area, says Richard Walton, Osceola County planning director. 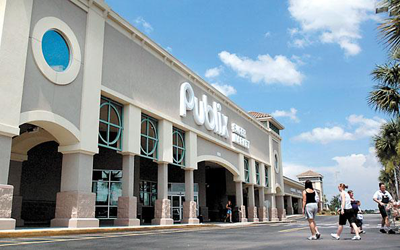 The Publix-anchored center -- which also includes a Chili's, Walgreens and more -- draws shoppers and diners from the immediate area, as well as neighboring Polk County. Usually, during the weekday evening rush hour, the ChampionsGate exit ramp from Interstate 4 is packed with drivers heading toward the center. "What's out there has generated a lot of traffic, and that's a good sign," Walton says. "There was no commercial out there until that was built. It seems to be doing very well." As a resort development, ChampionsGate also draws tourists and convention-goers, says John Crossman, managing director of Orlando-based Crossman & Co.
Those factors will help ChampionsGate's second retail endeavor attract more than the service based tenants that generally populate a neighborhood center. "I think you're going to see restaurants, service and maybe a few specialty [retailers]," Crossman says. "If you have ability to attract conventions, as well as some tourists and some good solid income households, that's a triple threat." "The pause in single-family-home building creates an opportunity for a company like ours with a long-term vision to acquire 300 to 500 acres that we can just hold for two or three years until the market regains its robust pace, and then use that to launch additional residential or commercial development," Mitzner said in a news release. ORLANDO, Fla. - (BUSINESS WIRE) - (March 23, 2006) - Hilton Hotels Corporation, Apollo Real Estate Advisors and RIDA Development Corporation announced today that they have formed a joint venture to build the Hilton Orlando Convention Center. The 1,400-room hotel will fill a void in high-end hotel rooms near the Orange County Convention Center. Located on 26.4 acres just south of the convention center, the 18-story hotel will offer direct access to the North Concourse through a pedestrian sky bridge. Apollo Real Estate Advisors and RIDA Development Corporation will be the majority owners of the hotel and Hilton will manage the hotel and have a minority ownership interest. Construction of the hotel is expected to begin by the end of 2006, with completion set for 2009. The Hilton Orlando Convention Center is poised to take advantage of a booming Orlando convention market that currently offers relatively few hotel rooms within walking distance of the convention center. With more than 130,000 square feet of meeting space, the Hilton Orlando Convention Center will offer an upscale product with adequate space and close proximity for business guests. 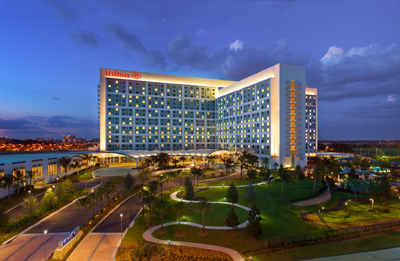 "The Hilton Orlando Convention Center is a true full-service hotel that will not only serve as the flagship hotel for the convention center, but will also have a great leisure and spa component, allowing both conventioneers and leisure guests the opportunity to enjoy Orlando," said Ira Mitzner, president of RIDA Development Corporation. 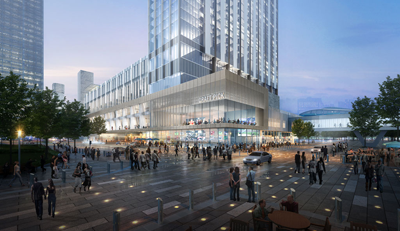 "Hilton Hotels Corporation is proud and excited to be part of this project that will bring a much-needed convention center hotel to this vibrant market," said Matt Hart, president and chief operating officer, Hilton Hotels Corporation. "With a great location, upscale Hilton amenities, fabulous dining options, exciting leisure features on-property and Orlando's world-renowned tourism options easily accessible, the Hilton Orlando Convention Center is destined to be a great success." The Hilton Orlando Convention Center will feature 1,400 well-appointed guestrooms, including 52 suites. The more than 130,000 square feet of meeting space will include a 50,000 square foot grand ballroom, a 30,000 square foot junior ballroom and 38 meeting rooms. The property will include a 15,000-square-foot spa and fitness center, a three-meal Italian restaurant, a fine dining restaurant, an upscale sports bar, a lobby lounge and a deli. An abundance of recreational amenities will be included on-site as well. The Hilton Orlando Convention Center is being designed by HKS Architects in Orlando and will be built by Welbro Construction Company. "The unique partnership with Hilton Hotels Corporation allows us to build a true team effort with Hilton, where Hilton is not only the operator, but a joint venture partner as well," said Lee Neibart, managing partner of Apollo Real Estate Advisors. The Hilton Orlando Convention Center is not the first project in the Central Florida area for the Apollo-RIDA partnership. The group is also the developer for the 1,500-acre master-planned ChampionsGate Resort, which features the 4-Diamond 730 Key Omni Orlando Resort at ChampionsGate, the Villas at ChampionsGate, 36 holes of Greg Norman-designed golf, the World Headquarters of the David Leadbetter Golf Academy and is home to the annual MBNA WorldPoints Father/Son Golf Challenge. "Our success at ChampionsGate has taught us what is necessary in catering to both business and leisure travelers," Mitzner said. "The nature of this project allows us to create a unique amenity package that will utilize the best features of what worked at ChampionsGate, and build upon those." Established in 1972 by David Mitzner, RIDA Development Corporation has achieved a national and international reputation for creating innovative, premium quality and economically successful real estate. Headquartered in Houston, Texas, with major operating divisions in Orlando, Fla. and Central Europe, principal officers, David, Jacob and Ira Mitzner have assembled a dedicated and highly competent team of professionals to create and maintain a quality - and ever expanding- real estate portfolio. RIDA has developed and is currently developing retail, office, distribution, residential, hotel and mixed-use land developments with a total value in excess of $2.5 billion. RIDA's projects have earned it a reputation as one of Florida's leading multi-faceted developers, building an outstanding portfolio of well-planned, high-profile and financially sound commercial and residential real estate. Apollo Real Estate Advisors has been one of the foremost private real estate investors for more than a decade. William Mack, whose 40 years in real estate have made him a leading figure in the industry, founded Apollo Real Estate in 1993 in cooperation with the Apollo private equity funds. The company is a private partnership of real estate professionals with a rare blend of hands-on real estate experience and sophisticated capital markets expertise. Apollo has overseen the investment of eight real estate funds and joint ventures, through which it has invested over $4.7 billion in more than 200 transactions with an aggregate value in excess of $20 billion. With offices in New York, London, Los Angeles and Chicago, the Apollo Real Estate funds target a broad range of opportunistic investments in real estate assets and portfolios throughout the United States, Europe and Japan. Hilton Hotels Corporation (NYSE:HLT) is the leading global hospitality company, with nearly 2,700 hotels and 475,000 rooms in more than 80 countries, with 150,000 team members worldwide. 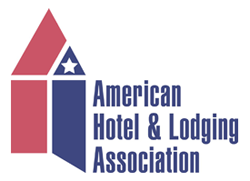 More than 2,300 hotels are owned, managed or franchised in North America, with a portfolio of some of the best known and highly regarded hotel brands including Hilton ®, Conrad ®, Doubletree ®, Embassy Suites Hotels ®, Hampton Inn ®, Hampton Inn & Suites ®, Hilton Garden Inn ®, Hilton Grand Vacations ™, Homewood Suites by Hilton ® and The Waldorf-Astoria Collection ™. Outside North America, the company operates 262 hotels branded Hilton, 131 hotels under the mid-market Scandic brand and five all-inclusive resorts under the Coral by Hilton brand. For more information about our company, please visit www.hiltonfamily.com. HOUSTON, TX -- Houston First Corp. said Tuesday it has selected RIDA Development Corp. to enter into exclusive negotiations to develop a downtown convention hotel. HBJ reported earlier this month that RIDA Development and Dallas-based TRT Holdings/Omni Hotel were the only two teams still in the running to develop the hotel. The 1,000-room hotel will be developed on the block immediately north of Discovery Green and will connect to the George R. Brown Convention Center via a skywalk. Houston First expects the new hotel will increase the city's convention business, Houston First Chairman Ric Campo said in a Tuesday statement. "We look forward to the day when Houston competes among the best convention destinations in the United States," Ira Mitzner, president of RIDA Development, said in the statement. Houston-based RIDA Development will team with Houston-based Morris Architects to develop the hotel. Houston First selected RIDA Development from a pool of 11 teams that responded to a Request for Qualifications earlier this year. "We had a strong response from outstanding teams that recognized the vitality of our convention district and the opportunities it poses for the future," Dawn Ulrich, president and CEO of Houston First, said in the statement. 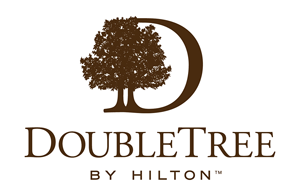 "We are delighted to introduce our fifth Pittsburgh area hotel later this fall as the DoubleTree by Hilton Pittsburgh-Green Tree. The new name, look and feel of this outstanding hotel will be exciting for hotel team members, guests and the community alike," said Rob Palleschi, global head, DoubleTree by Hilton. "DoubleTree by Hilton looks forward to working together with RIDA Development and CAM Hospitality to create a rewarding hotel experience for the Borough of Green Tree and the greater Pittsburgh community in the months and years to come." Later this year, Houston First plans to begin construction on a 1,800-space parking garage at the north end of the convention center, which will contain first-floor retail space and serve the public as well as the new hotel. PITTSBURGH, PA -- RIDA Development Corporation has announced the planned purchase and accompanying $15 million transformation of the Radisson Hotel located in the Green Tree borough in Pittsburgh, PA. Extensive improvements are scheduled to begin immediately, with the 465-room DoubleTree by Hilton Pittsburgh-Green Tree becoming the newest and largest Pittsburgh-area hotel currently available within the Hilton Worldwide portfolio of hotels and welcoming guests to the brand in November 2011. Renovations are anticipated to be complete by the fall of 2012. A powerhouse team of experienced hospitality talent has been brought together for the DoubleTree by Hilton Pittsburgh-Green Tree conversion and renovation. Renowned interior design company Looney & Associates leads the re-design, with RIDA Development Corporation, one of the country's leading hotel developers, overseeing the transformation of the property. CAM Hospitality Management has been awarded the management contract. The hotel will be operated under a franchise management agreement with a subsidiary of Hilton Worldwide. "We are very pleased to conclude this transaction and to be part of the redevelopment of this Pittsburgh property that has been a mainstay for over 25 years," said Ira Mitzner, President of RIDA Development Corporation. "We look forward to establishing the DoubleTree by Hilton Pittsburgh-Green Tree as a premiere hotel for group, business and leisure travelers visiting the area. We are also pleased to add this property to our hotel portfolio with ownership interests exceeding 3,000 rooms nationwide and approximately $1 billion in value. The $30,000+ per-room renovation will encompass 455 beautifully revamped guestrooms and suites, a striking new entryway leading guests into an expansive, completely updated lobby with furnishings and finishes evoking the feel of grand mountain lodge. An update of all public spaces of the hotel includes modernization of the hotel's two full-service restaurants, sports bar, marketplace, health club and more than 30,000 square feet of meeting space and event facilities encompassing 26 meeting rooms, a grand ballroom and a junior ballroom. Aside from the fresh new look of all spaces in the hotel, the interior colors will represent the four seasons. Plush seating and large social areas will spill into the new upscale sports bar and grill, while in the new state-of-the-art health club there will be professional-grade Precor fitness equipment. The DoubleTree by Hilton Pittsburgh-Green Tree provides complimentary shuttle service to many downtown attractions such as sports stadiums, the Andy Warhol Museum as well as the David L. Lawrence Convention Center. Providing complimentary parking, DoubleTree by Hilton Pittsburgh-Green Tree also shuttles to and from the airport free of charge. DoubleTree by Hilton Pittsburgh-Green Tree guests will benefit from the characteristic qualities found at the brand's more than 265 DoubleTree by Hilton locations around the world, including the warm welcome of the brand's legendary chocolate chip cookie presented to every guest at check-in; an array of upscale amenities and guest services; the rewards of the Hilton HHonors® guest loyalty program; and a unique and caring team member commitment to the local community. ORLANDO, Fla. -- At Hilton's Annual North American Hotel Development Conference in October 2010, RIDA Development Corporation and Ares Management were named as the 2009 Developer of the Year for their construction of the Hilton Orlando. The 1,400-room Hilton Orlando opened its doors September 2009 as the largest non-casino hotel completed in the U.S. in 2009. Hilton Orlando is the first hotel to be connected to the Orange County Convention Center. A smart choice for today's business and leisure travelers, Hilton Orlando offers world-class facilities and amenities for both, including 175,000 square feet of meeting space, business center, WiFi access, six restaurants to suit all tastes, a comprehensive spa, immense pool and lazy river, nine hole executive golf course, tennis and basketball courts, and banquet facilities for special occasions. Mr. Ira Mitzner, President of RIDA, explained that hundreds of thousands of hours of preplanning allowed for a flawless, cost effective design and on time construction execution during a difficult construction period in the U.S. The hotel has exceeded both economic and bookings expectations since its opening in September 2009. 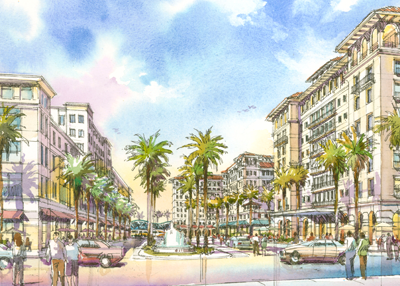 ORLANDO, FL -- The company that built ChampionsGate and Hilton Orlando plans to build a $200 million mixed-use project that would tie into SunRail's main station in downtown Orlando, the Orlando Sentinel has learned. Orlando Mayor Buddy Dyer plans to announce details of the project today during his annual "State of the Downtown" speech. The Central Station project is slated for a 5.6-acre parcel adjacent to the Lynx Central Station and across Orange Avenue from the Orange County Courthouse. RIDA Development Corp. bought the property for $15.1 million in 2008. 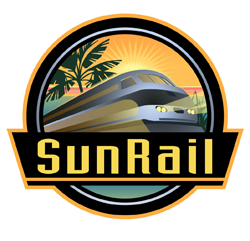 It would be the first example of transit-oriented development connected directly to SunRail, the 61-mile commuter train system scheduled to launch in 2014. A spine running through the center of the complex would link Orange Avenue with downtown's main SunRail platform at the Lynx center. "With... Central Station, we have the emergence of the sustainable, walkable, transit-oriented development we've been talking about," Dyer said. A hotel and midrise apartment buildings of seven to 10 stories would run along the north side of the property, along with ground-floor shops and restaurants. That's the first phase of the project, which would cost an estimated $100 million. The second phase would feature office space on the south side of the property and cost another $100 million, but it would not happen until the office market improves. The developer hopes to take advantage of the proximity of SunRail and the railroad tracks. They hope easy access to the rail system will be a selling point for apartment renters, and that downtown workers who take the train will provide retail traffic as they pass through the development going to and from the station. "We're very excited," RIDA Senior Vice President Marc Reicher said. "We have the best multimodal site in Central Florida. This is going to further establish transit-oriented development and further establish the central business district." The property, bounded by Orange Avenue, Amelia Street, Livingston Street and the Lynx headquarters, is the last large undeveloped parcel downtown. More than one developer has had big plans for the site that never materialized. It was once owned by Ron Pizzuti, who proposed Orlando City Center, a tower topped by a large open cube. The Federal Aviation Administration refused to allow the nearly 500-foot-tall building, saying it would endanger Orlando Executive Airport air traffic. Pizzuti sold the property to Palm Beach Land Trust, which in 2006 proposed a $250 million mixed-use project with off-kilter architecture. It, too, would have tied into the commuter-rail system. That developer sold the property to RIDA. Reicher pointed to RIDA Development Corp.'s history of completing large projects under trying circumstances as evidence the company will succeed with Central Station. In addition to ChampionsGate and the Hilton next to the Orange County Convention Center, the Texas-based company built the Omni Resort, the first major hotel in the country financed and built after the Sept. 11, 2001, terror attacks. RIDA has a substantial portfolio in Texas, Florida, Poland, Germany, Russia and Ukraine. "We're accustomed to finding paths to success in challenging economic times," Reicher said. October 1, 2010 -- AEW Capital Management LP and RIDA Development Corporation have launched a joint venture to build an investment portfolio of triple net leased real estate. RIDA will act as the operating partner of the joint venture, acquiring the properties, while AEW will take on the role of financial partner. The venture has already acquired $30 million in property, and anticipates growing the portfolio by an additional $50 million in 2011. "When we decided to act on the opportunities we were seeing in domestic NNN retail, we knew we would need a dynamic, fast acting, partner for the acquisitions and management because of the margins and market efficiencies. Naturally, we thought of AEW, and within a few short months of our first meeting, we had executed an agreement and closed on five properties across the country." explained Ira Mitzner, President of RIDA Development. AEW, one of the most respected real estate investments managers, has funds under management of $43 billion in the US and Europe. RIDA, also an international company, acts as the managing partner for over $3.5 billion in real estate worldwide and is the largest landlord to Metro AG in Poland and Germany. RIDA was named developer of the year in 2010 by Hilton Hotels for its work as the general partner of the 1,400 room Hilton Orlando. In December 2010, EUROBUILD Magazine awarded RIDA (Apollo-RIDA) the deal of the decade award for its acquisition in 2004 of the $1 billion portfolio of 28 Metro-anchored retail shopping centers from Metro AG of Germany. ORLANDO, Fla. -- With 1,400 rooms, 175,000 square feet of function space and a major complement of resort amenities, the Hilton Orlando represents a $385-million investment on the part of owner/developers RIDA Development Corp. and Ares Management, which was formerly known as Apollo Real Estate Advisors. At the hotel's grand opening last month, lead developer Ira Mitzner, who is president of RIDA, made no bones about the faltering economy that has had a especially deleterious effect on markets like Orlando. "But long-term the prospects for the market overall and for our hotel in particular are very strong," Mitzner told the estimated 600 people gathered for the grand opening ceremonies. Mitzner cited the hotel's location adjacent to the 2.1-million-square-foot Orange County Convention Center as a major advantage. "We're the only globally-branded, full-service hotel in close proximity to the convention center and the only one connected to it by a covered walkway," confirmed the hotel's general manager, Doug Gehert. The hotel has had an almost 10-year long gestation. In 2000, with their convention center slated for a major expansion, Orange County commissioners signed off on plans to add two full-service hotels in the immediate vicinity of the center. "It was our sense that the area was underserved with upper upscale hotels and restaurants and we were looking to remedy that," recalled Tammi Runzler, the Orlando/Orange County Convention & Visitors Bureau's vp of convention sales and services. The Hilton was the first of the two hotels to be completed. The other development site has been assigned to Hyatt Hotels Corp.
"Our intention is to bring additional group business to Orlando," Gehert said, noting that the 175,000 square feet of event space. In his grand opening remarks, Mitzner acknowledged the lender on the project, a consortia of banks led by EuroHypo Bank AG, for its flexibility. "Despite the difficult financing environment, they were open to providing additional capital for improvements that everyone agreed would enhance the value of the asset," he said, citing the addition of a third ballroom as an example. However, while the group business is critical for the hotel, the Hilton Orlando is positioned somewhat differently from traditional convention hotels in that it has a $35-million resort component built into it. "This should increase our appeal to the leisure market significantly," Gehert said. "And if you're a meeting attendee and have an hour or two to unwind and relax, this will allow you to maximize that time." Included among those amenities are an outdoor swimming pool complex that includes a resort pool, a quiet pool, a lazy river, whirlpools and cabanas; a 15,000-square foot spa and fitness center; a jogging track; a nine-hole, golf putting course; and basketball, tennis, volleyball and bocce ball courts. "The idea is that conference attendees can stay a few days longer or come a few days earlier," said the hotel's director of sales and marketing, Juan Garcia. "They can bring their families so they can create family time as part of the group experience." What the hotel's senior sales manager, Joseph Critelli, described as the "smart design of the hotel's building" is intended to reinforce this dual appeal. "Architecturally, the building is in the shape of a T," Critelli said. "The shape places the resort amenities off to one side with the meeting facilities off to the other side. We like to say we've got something for everyone, whether you're here for business or leisure." HKS Architects was in charge of the design of the building. Interiors were the work of Looney & Associates. ORLANDO, Fla. - (June 9, 2008) - RIDA Development Corp. has more than a million sf of mixed-use development in mind for its newly acquired 5.6-acre site at 400 N. Orange Ave. The Houston-based company bought the site for $15.1 million from Downtown Plaza LLC, says Grubb & Ellis Commercial Florida. While Houston-based RIDA Development is known primarily for hotels, it is also determined to pursue retail and office components on its newly acquired site. However, company executives admit they will already need to make adjustments based on current economic conditions. "We will probably go back to the city with a slightly different plan," Marc Reicher, senior vice president with RIDA Development in Orlando, tells GlobeSt.com. The most likely adjustments will be made to the project's office component, while the hotel and retail segments will move forward as planned, he says, adding that "we'd like to be able to do it all in one phase." David Calcanis, vice president of Grubb & Ellis' Orlando-based Land Group, says the site is the last large parcel in the center of Downtown Orlando and has been approved for four towers housing 907,000 sf of offices, 76,000 sf of retail and restaurants, 150 residential condominium units, 150 hotel rooms, 50 residential/office lofts and a parking garage with more than 2,500 spaces. The land encompasses an entire block bordered by Amelia and Livingston streets, an exit ramp to Interstate 4 and the new Lynx Center Transit Terminal. RIDA Development is certainly no stranger to the Central Florida market, having built the 1,500-acre ChampionsGate golf community in northwest Osceola County and the 1,400-room Hilton Orlando Convention Center hotel. The firm's local investments are approaching the billion-dollar mark, with the 400 North Orange project estimated at $250 million, Reicher says. "We like to think we have a good understanding of mixed-use development," he says. "We want to create something smart, something vibrant and something that enhances this part of the Downtown corridor." RIDA Development Corp. says it seeks opportunities in state's midsection. Reicher, senior vice president of operations for ChampionsGate. His comment came on the heels of a report that RIDA Development Corp. expects to expand ChampionsGate by buying land near the 1,500-acre resort it has built in southwest Osceola County. But, as Reicher pointed out, RIDA is not confining its search for development to just the area around ChampionsGate. It's looking for large projects throughout the state's midsection. "We have always performed better with large-scale assets," Reicher said, noting that RIDA has the resources and proven track record for developing large projects. "We're not going to be doing a series of Publix centers," was the way he put it. 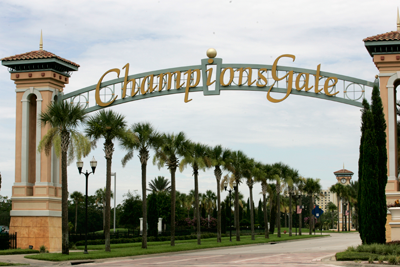 ChampionsGate is one example of the kind of projects the corporation seeks. Another example is the 1,400-room Hilton Orlando Hotel it is developing at the Orange County Convention Center along with Apollo Real Estate Advisors of New York and Hilton Hotels Corp. The fact that there has been a slowdown in the housing market in recent months is not acting as a deterrent to more expansive development. In fact, RIDA President Ira Mitzner said, it is a plus factor because land prices have stabilized and, in some cases, dropped. RIDA, a Houston-based real estate development company, started buying property in Osceola County for the ChampionsGate project 20 years ago and has since developed that land into a multi-use golf resort and community that includes the Omni Resort Hotel, single-family-home developments and a shopping area. Those residents did not have shopping facilities anywhere in the vicinity until ChampionsGate made commercial development possible in the early part of the 21st century. Mitzner said RIDA and Apollo have invested about $500 million in ChampionsGate and plan to invest about $1.5 billion more there in the next 15 years - possibly buying additional nearby land. And he said his company has always believed in the potential for this part of Central Florida. "When we came here, there were more cows than people," he said. "We foresaw growth of the I-4 corridor west of (U.S.) 192 past Disney when many local real estate people believed it would never happen in their lifetime." CHAMPIONSGATE, Fla. - (August, 2007) - RIDA Development Corporation, who is developing the 1,500 acre, $2 billion ChampionsGate Resort in Osceola County with Apollo Real Estate Advisors of New York and the 1,400 room Hilton Orlando Hotel at the Orange County Convention Center with Apollo and Hilton Hotels Corp., may 'grow' ChampionsGate by acquiring additional parcels nearby. Ira Mitzner, who became president of the Houston-based global real estate development company three years ago, said land price fluctuations could make additional land acquisition feasible. "RIDA and Apollo have invested about $500 million at ChampionsGate so far and plan to invest about $1.5 billion over the next 15 years," Mitzner said. Some of that investment could include additional land acquisitions. "We see opportunities here," said Mitzner. "The pause in single-family homebuilding creates an opportunity for a company like ours with a long-term vision to acquire 300 to 500 acres that we can just hold for two or three years until the market regains its robust pace, and then use that to launch additional residential or commercial development," he said. Mitzner said RIDA's advantage is diversity. "We have core competency in almost every product type, whether in the U.S. or Europe," Mitzner said. "We have developed retail, office, industrial, hotel, resort, residential condominium, multifamily apartments and land," he said. "Besides ChampionsGate, we're also looking for other opportunities around the state that fit our vision and core competencies." Mitzner said RIDA is focusing on the I-4 corridor. "ChampionsGate, a little over an hour from both coasts, halfway between Tampa and Daytona Beach is in one of the most active corridors for development in the U.S.," Mitzner said. "We can develop anywhere in Florida, and we are looking at projects regionally, but we have built close relationships here in Central Florida and to the extent that we can develop near our home base, it makes life easier," he said. 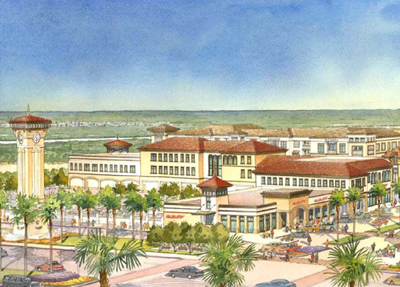 Mitzner emphasized that a top priority at ChampionsGate is to create an upscale retail village. "It's very important," Mitzner said. "ChampionsGate offers excellent convenience shopping with Publix, Walgreens and the ancillary stores, but what we need is a place for someone to sit at a piano bar, or to enjoy a beer, or a coffee or to just shop," he said. RIDA will spend as much as $75 million to develop 100,000 square feet of commercial space and 200,000 square feet of residential, Mitzner said. Residential components could include luxury apartments or condominiums. "The market will determine what we sell," Mitzner said. "We will determine the quality, and it will be exceptional." CHAMPIONSGATE, Fla. - (January 26, 2005) - RIDA Development Corporations Omni Orlando Resort at ChampionsGate, was named one of the top three resort developments in the country as part of the American Lodging and Investment Summits Development of the Year award. Other finalists included the Gaylord Texan Resort and Convention Center and the Mandarin Oriental in Washington, D.C. It is an honor to be a finalist along with the Mandarin Oriental and the new Gaylord Texan for such a prestigious award, said Ira Mitzner, president of RIDA Development Corporation. We are pleased the selection committee recognized the quality and meticulous design standards the resort was built to meet. The Omni Orlando Resort at ChampionsGate welcomed its first group in October a remarkable feat considering the new flagship Omni Hotel was the first major resort hotel in the nation financed and built following 9/11. The ChampionsGate resort also finished construction by overcoming an unprecedented trio of hurricane hits just prior to opening. The Omni Orlando Resort at ChampionsGate is one of the premier golf resorts in the country and includes more than 70,000 square feet of meeting space, a 10,000 square-foot European-style spa, and two challenging par-72 championship golf courses, the National and the International, designed by golf great, Greg Norman. ChampionsGate is also home to the world headquarters of the David Leadbetter Golf Academy and host to the annual Office Depot Father/Son Challenge. The Omni Orlando Resort at ChampionsGate is Florida's newest luxury golf and meetings destination resort. The Mediterranean-style resort, which opened in October 2004, features 730 guest rooms and suites, more than 70,000 square feet of meeting space, a 10,000 square-foot European-style spa and six restaurants. ChampionsGate is Florida's premier golf resort community, encompassing some 1,500 acres southwest of Orlando. ChampionsGate, with its beautifully designed double gates, welcomes visitors off Interstate 4, just south of Walt Disney World Resort. ChampionsGate is being developed as a joint venture by Apollo Real Estate Advisors of New York and RIDA Development Corporation of Houston. ChampionsGate has a projected value of approximately $1 billion and is expected to include 2,864 hotel rooms, 2,136 resort villas, condominiums, town homes and apartments, 36 holes of golf, and 426,000 square feet of retail space, making ChampionsGate one of the regions largest resort destinations. CHAMPIONSGATE, Fla. - (December 6, 2004) - ChampionsGate golf resort, southwest of Orlando, celebrated the official opening of the Omni Orlando Resort at ChampionsGate Saturday, with the slicing of a red ribbon by golfing great Arnold Palmer, community developers, David and Ira Mitzner, Lee Neibart, and Omni Hotels president Mike Deitemeyer. The new flagship resort for Omni Hotels is the first major hotel project nationwide financed and completed after 9-11. The 730room Omni Orlando Resort is at the heart of ChampionsGate, and represents a new landmark for Central Florida tourism. At 16 stories, the resort is the tallest building in Osceola County. The Omni Orlando Resort is a testament to the vision of my father who believed in this location years before it emerged as a prime destination, said Ira Mitzner, president of RIDA Development Corporation. The fact that the hotel opened on time showcases the commitment of our partners within the ChampionsGate family. The new Omni is a partnership that includes New York-based Apollo Real Estate Advisors and Houston-based RIDA Development Corporation. Major lenders were skeptical about approving new loans for hotels after 9-11, especially in the Orlando market. Yet, both Omni Hotels and RIDA Development Corporation were confident Orlando needed more high-end properties. It took a great deal of soul searching and number crunching to get the deal done, said Mitzner, But we believe this is a perfect fit for the community and Orlando has a strong demand in the luxury resort segment. After financing, RTKL spearheaded the design, and Welbro Construction made the resort come alive. At first, the building breezed along on time. Then Mother Nature christened the resort with hurricanes Charley, Francis and Jeanne, and a glancing blow from Hurricane Ivan, just as the Omni was nearing completion. The hurricanes hit at the finishing stretch. We were racing to put the final touches on the hotel and all of a sudden we had to deal with threats of 115-mile-an-hour winds, said John Fischer, vice president RIDA Development. We basically planted the trees around the resort four times. The storms put strain on last-minute supplies and government approvals. Inspectors worked long hours to try to keep the new resort on track and on schedule. The coordination with Osceola County was fabulous. Without the work of the inspectors and building department during a challenging time for our county, we could not have completed this project, Mitzner said. We owe them a debt of gratitude. Actually, it is Osceola County officials who say they are thankful for ChampionsGate. The development is expected to pump millions of dollars in property resort fees and sales taxes into the county. The Omni is an example of the upscale hotel development that the county craves. The opening of Omni Orlando Resort at ChampionsGate could not come at a better time, said Ken Shipley, chairman of the Osceola County Commission. This brings a stunning four-star property to our area that we expect will serve as a beacon to welcome guests to Central Florida. Ira and David Mitzner are the most professional team I have had the pleasure to work with and for that I am incredibly thankful. For Omni Hotels, the opening represents a new flagship hotel in the top tourism destination in the country. The destination golf resort includes more than 70,000 square feet of meeting space, a 10,000 square-foot European-style spa, and two par-72 championship golf courses, the National and the International, designed by golf great, Greg Norman. ChampionsGate hosts the Office Depot Father/Son Golf Challenge, nationally telecast on NBC-TV. ChampionsGate is also home to the world headquarters of the internationally acclaimed David Leadbetter Golf Academy. The reception The Omni Orlando Resort has received since welcoming it first guest this past October is heartwarming, said Michael Deitemeyer, president of Omni Hotels. We helped design this hotel so it would be built to four-star standards and would represent the sensible luxury that Omni delivers to its guests. Our standards were tested even before opening. At ChampionsGate, the Omni is just the beginning. Del Webb has announced plans to build, BellaTrae a $200 million community of luxury town homes, condos and villas near the new resort. Construction is also about to start for the Villas at ChampionsGate, a luxury condo community of nine buildings with a variety of floor plans designed to meet the high standards of future owners and residents. We are really building a lifestyle, Mitzner said. With the new Omni Orlando Resort, this community has the heart of a champion. It is clear that nothing is going to stop us from achieving greatness and bringing to Central Florida a new vacation destination and a new hometown. CHAMPIONSGATE, Fla. - (October 11, 2004) - The Omni Orlando Resort at ChampionsGate welcomes its first group today - a remarkable feat considering the new flagship Omni Hotel won approval in the shadow of 9/11 and finished construction by overcoming an unprecedented trio of hurricane hits from Charley, Frances and Jeanne. "To open any hotel on time is an accomplishment but this is something that took Herculean effort," said Andy Papoutsis, vice president and managing director of Omni Orlando Resort at ChampionsGate. "Overcoming adversity is the cornerstone of this great project. Everyone from the operations team, to the construction crews to the county building officials and of course the incredible Omni Orlando at ChampionsGate staff should be very proud that this project is opening as scheduled." For Omni Hotels, the opening is a welcome sign. The luxury hotel brand has a flagship hotel ten minutes from the gates of Walt Disney World in one of the top tourism markets in the country. The new property is expected to be one of the premier golf resorts in the country and includes more than 70,000 square feet of meeting space, a 10,000 square-foot European-style spa, two challenging par-72 championship golf courses, the National and the International, designed by golf great, Greg Norman. The ChampionsGate courses are host to the annual Office Depot Father/Son Golf Challenge, nationally telecast on NBC-TV. ChampionsGate is home to the world headquarters of the internationally acclaimed David Leadbetter Golf Academy. "We are honored and delighted that this property withstood its many challenges," said Michael Deitemeyer, president of Omni Hotels. "We helped design this hotel so it would be built to four-star standards and would represent the sensible luxury that Omni delivers to its guests. Our standards were tested even before opening as the building and surrounding grounds withstood three direct hurricane hits." The Omni Orlando Resort at ChampionsGate is also good news for local tourism officials. The pristine resort, with its poolside cabanas, lazy river, towering palm trees and water fountains, is a sight most people don't associate with 'Florida in the post-hurricane world. "The opening of Omni could not come at a better time," said Ken Shipley, Chairman of the Osceola County Commission. "This brings a stunning four-star property to our area that we expect will serve as a beacon to welcome guests to Central Florida." The unprecedented Florida weather has not stopped groups from booking meetings and events at the resort. More than 50 groups have made plans to come in the first three months alone. "Our groups are excited about experiencing the hotel and surrounding natural beauty of ChampionsGate," said Paul Pebley, director of sales and marketing. "In addition to the group business, our resort is a wonderful destination for vacationing families and golfers." The Omni Orlando Resort offers introductory rates, including a preview rate of $146 per night through January 16, for guests who come and stay three nights or more. 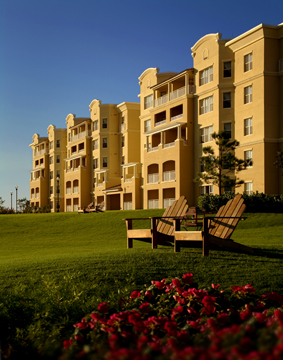 For reservation information, call 1-800-THEOMNI, or visit www.omniorlandoresort.com. The Omni Orlando Resort at ChampionsGate is Florida's newest luxury golf and meetings destination resort. Open in October 2004, the Mediterranean-style resort features 730 guest rooms and suites, more than 70,000 square feet of meeting space and a 10,000 square-foot European-style spa. Open for four years at ChampionsGate are two challenging par-72 championship golf courses, the National and the International, designed by golf great, Greg Norman, which have been honorably mentioned in Golf Magazine's "10 Most Distinctive Places to Play". The ChampionsGate courses are host to the annual Office Depot Father/Son Golf Challenge, nationally telecast on NBC-TV. ChampionsGate is home to the world headquarters of the internationally acclaimed David Leadbetter Golf Academy. The Omni Orlando Resort at ChampionsGate is the centerpiece of ChampionsGate's 1,200-acre golf-resort community. ChampionsGate is near Orlando's popular attractions, but situated in a relaxed, natural setting carefully designed to complement its Florida surroundings. CHAMPIONSGATE, Fla. - (May 11, 2005) - The developers of ChampionsGate started construction today on the first phase of The Villas at ChampionsGate, a new condominium hotel that will become a part of the Omni Orlando Resort at ChampionsGate. Villas will be aimed at giving vacationers to the world-class golf resort the space and comforts of home all in a setting that will include the amenities of a luxury hotel. The new vacation villas will expand the leisure and executive business market for ChampionsGate. Condo hotel amenities are increasingly popular, particularly in Florida. Their presence at ChampionsGate answers the demand for this style of living and vacationing, said Ira Mitzner, managing partner of RIDA Associates, L.P., who is developing the project in a joint venture with Apollo Real Estate Advisors. With the Omni's luxurious amenities and the golf facilities right out the door, the condo hotel is the perfect fit for the first phase of The Villas at ChampionsGate. RIDA Associates is overseeing construction of the 57-unit condo hotel that will include two- and three-bedroom, privately owned villas. Each unit runs from 1,424 to 2,260 square feet. Welbro Construction, which built the Omni Orlando Resort at ChampionsGate, has been selected as the general contractor for the condo hotel project. Omni Hotels will manage the condo hotel units. Even before the first shovel of Florida sand has been turned, ChampionsGate has received dozens of reservations. Set to open in 2006, prices for the villas start at $489,900. 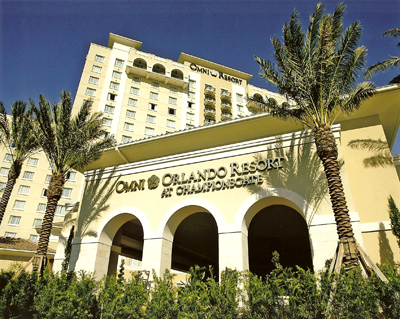 The condo hotel units in The Villas at ChampionsGate will be an extension of the successful Omni Orlando Resort, a new 730-room hotel that opened in the fall of 2004. Owners and guests in the condo hotel will have the privilege of using all of the Omni Orlando Resorts amenities, including the 10,000 square-foot European-style spa, three pools and upscale dining at Zen, David's Club and Trevis. Guests can take advantage of the world headquarters of the David Leadbetter Golf Academy as well as the two Greg Norman-designed golf courses on property. Villa owners will have the option of placing their units in a rental program to be managed by Omni Orlando Resort when they are not using the units. The villas will expand on a popular market for Omni business and vacation guests. We've seen great demand for the resorts 30 suites and the new condo hotel units will provide a wonderful setting for families and golfers looking for spacious accommodations, said Andy Papoutsis, vice president and general manager of the Omni Orlando Resort. Many golfers, especially those traveling in small groups prefer the comforts of the villas-style condos. The Villas at ChampionsGate will give the feel of a private residence with all the sensible luxuries of our resort. RIDA Development has two sales offices for The Villas at ChampionsGate, one at 8390 ChampionsGate Blvd., Suite 100, and a second information center on the main lobby level of the Omni Orlando Resort. Sales information on The Villas at ChampionsGate is also available online at www.ChampionsGate.com/residential. ChampionsGate is home to the world headquarters of the David Leadbetter Golf Academy, the new Omni Orlando Resort at ChampionsGate, a flagship resort for Omni Hotels, and two championship golf courses designed by Greg Norman. The community is also host each December to the nationally televised Father/Son Golf Challenge, which pairs up major championship winners with their sons. ChampionsGate is being developed by RIDA Associates LP as a joint venture by Apollo Real Estate Advisors of New York and RIDA Development Corporation of Houston. ChampionsGate has a projected value of approximately $1 billion and is expected to include 2,864 hotel rooms, 2,136 resort villas, condominiums, town homes and apartments, 36 holes of golf, and 426,000 square feet of retail space, making ChampionsGate one of the regions largest resort destinations. At a ceremonial gala at the InterContinental Hotel Jan. 27, Quality Awards were presented to outstanding developments and companies in Central and Eastern Europe in 2004. WARSAW, POLAND - (February 2, 2005) - The top winners were the Arkadia shopping mall in Warsaw and the developer GTC. Arkadia was awarded as the CEE Retail Development of the Year 2004, and also received the Grand Award as the CEE Outstanding Development of the Year 2004. The mall, developed by BEG Group and Cefic, has collected a large number of other awards as well. For example, last year it was distinguished by the Integracje (Mainstreaming) association as the most disabled-friendly facility in Warsaw. Glob Trade Centre, the developer which began operating in Warsaw 13 years ago and is now active in six countries, was named the best developer of 2004 and distinguished with the Grand Award as the CEE Outstanding Company of the Year 2004. Awards also went to other Warsaw projects such as Crown Investments developed by Ghelamco-in the Office Development category, and the Opera building, handled by Dom Development-in the Residential Development category. The title of the best Industrial & Logistics Development went to Budapest's Cefin Logistic Park, developed by Cefin Real Estate Romania. In the Commercial Development category, Budapest's Four Seasons Hotel (developer Gresco RT.) was awarded, while in the Mixed Use Development category-the Europa Center in Vilnius erected by JSC Hanner. Apollo-RIDA was named best investor, and Aareal Bank-best Banking & Finance Company. Colliers International was awarded as best agency, and the title of best Retailer went to Poland's LPP company in Lodz, owner of the clothing brand Reserved. EC Harris was awarded in the Commercial Services Company category. The winner of the Grand Award for outstanding professionalism in the sector was Haris Van Luijken from Parkridge CE Development company. 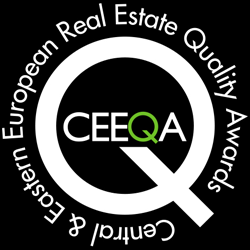 Central & Eastern European Real Estate Quality Awards were granted for the second time this year by a 16-member international panel of judges, made up of CEO's operating in these countries. Among the awards, one was particularly important-granted to the most respected and prestigious representative of the community, a person who deserves this award not only because of their business achievements but also because of their personal merits. This year's laureate of the CEE Real Life Achievement Award was David Mitzner, founder and president of Apollo-RIDA. The presentation of the award to top executive Mitzner, received a standing ovation. Mitzner, born in Warsaw to a Jewish family, lost his close ones during the war and the Holocaust. After eight years in a Soviet gulag, he left Europe and arrived in New York without knowing the language and with only a few dollars in his pocket. He founded a company that eventually became a leading developer on the U.S. market. In the early '90s, Apollo-RIDA began operating in Poland, Mitzner's native country. The Ericsson Center, Park Tower, Renaissance Tower and Zeran Park are all projects that have been carried out in Warsaw by Apollo-RIDA. Mitzner's company also owns the tallest office building in the city-Warsaw Trade Center, and recently conducted the market's largest transaction-buying the Metro retail center chain for $1 billion. The initiators and organizers of CEE Quality Awards are Central & Eastern European Real Estate Guides and Imagine Media Marketing & Events. David Mitzner receives the Central & Eastern European Real Estate Lifetime Achievement Award. ORLANDO BUSINESS JOURNAL - (October 14, 2004) - Del Webb, a division of the Pulte Homes Corp., has agreed to purchase land in ChampionsGate, ushering in a new luxury residential community within a growing golf resort. With construction scheduled to begin in 2005, the $200 million community will include luxury condominiums, carriage homes and town homes. Del Webb's selling price will start in the high $100s to the high $200s. "Del Webb's purchase represents a $200 million investment in ChampionsGate and brings the total investment commitment to well over $500 million," says Ira Mitzner, managing partner of RIDA Associates L.P., in a prepared statement. "Del Webb also reinforces the ChampionsGate experience, offering golf resort living for people who want to reside in a high-activity master planned community." Encompassing some 1,500 acres southwest of Orlando, ChampionsGate is being developed as a joint venture by Apollo Real Estate Advisors of New York and RIDA Development Corp. of Houston. ChampionsGate has a projected value of approximately $850 million and is expected to include 2,864 hotel rooms, 2,136 resort villas, condominiums, town homes and apartments, 54 holes of golf, and 426,000 square feet of retail space -- making ChampionsGate one of the region's largest resort destinations. The community is home to the new Omni Orlando Resort, a 730-room luxury golf resort, World Headquarters of the David Leadbetter Golf Academy, two 18-hole Greg Norman-designed championship golf courses and a 35,000 square-foot clubhouse. No Davids in this fight. This one is Goliath vs. Goliath. By Jack Snyder The Orlando Sentinel, Fla.
CHAMPIONSGATE, Fla. - (April 22, 2002) - Alongside Interstate 4 on the far side of Walt Disney World, two giant resort developments -- Reunion Resort and ChampionsGate -- are rising from the earth. Not since Disney and Universal Studios both announced movie-studio attractions a few miles apart have twin developments of such size been launched in Central Florida. And this time the would-be competitors are right down the street from each other - the "street" being I-4. Yet the developers of these two mega-developments express little concern about the head-to-head competition. They insist the two projects - comprising vacation-oriented hotels, time-shares, condos, villas, apartments and single-family homes, as well as retail and office space - will complement each other and perhaps lead to an I-4 resort corridor second only to Disney itself. Combined, the two developments total nearly 4,000 acres -- about the size of Hunter's Creek, the south Orange County community that's considering incorporation as a town or city. Development costs for the two are expected to approach $3 billion altogether -- roughly what Universal Orlando paid to build its Islands of Adventure theme park, several hotels, two giant parking garages and the CityWalk entertainment complex. Resort developments come in all sizes and forms, from Disney's 27,000-acre complex, with its own theme parks, to Vistana, which is strictly a time-share resort. Both Reunion Resort and ChampionsGate are designed to appeal to a wide range of customers, from vacationers and business travelers to investors and year-round residents. Both projects have golf courses designed by high-profile designers. Both will have hotels, time-shares, permanent and part-time residents, and both retail and office space. Both expect to feed off their proximity to Walt Disney World, fronting I-4 in Osceola County between Disney's southern gateways and the Polk County line. Reunion Resort is being developed by The Ginn Co., which recently shifted its focus to Central Florida. Bobby Ginn, president, has extensive experience in resort development, including operations in Hilton Head Island, S.C., and Palm Coast north of Daytona Beach. ChampionsGate is being developed by Apollo Real Estate Advisors of New York and RIDA Development Corp. of Houston. Are the two giant developments going after the same customer? "There's room for both of us," said Ira Mitzner, RIDA's chief operating officer. "We're very bullish about the next five to 10 years." Mitzner said the two projects will likely each seek subtle niches for their development. For instance, he expects Ginn's Reunion Resort to have more permanent residents than ChampionsGate. Ginn said the presence of ChampionsGate -- it was already under construction when he bought the land for Reunion Resort -- was actually a factor in his decision to proceed. The biggest factor was that the land was "the perfect location" for the large resort community he intended to develop, he said, "but when we do a big development, we [also] want to control our environment. The worst thing is the unknown." With ChampionsGate already under way, he said, "I know what's around me." Reunion Resort is bordered by both ChampionsGate and Disney's Celebration community, which is filled mostly with year-round residents. The overall character of the area is "top quality," Ginn said. So far, the two developers have each invested more than $100 million in their projects. ChampionsGate already has two golf courses open -- both designed by professional golfer Greg Norman. The development is also home to a David Leadbetter Golf Academy. Leadbetter is one of the biggest names among golf instructors in the country. Golf also looms large in Ginn's plans for Reunion Resort. Two courses -- one designed by Tom Watson, the other by the legendary Arnold Palmer-- are now under construction on the east side of I-4. A third, designed by Jack Nicklaus and his son, is planned for Reunion land on the west side of the highway, just north of ChampionsGate. That course should be under construction by the end of this year, Ginn said. At 2,300 acres, Ginn's development is the larger of the two. It is planned for 3,000 single-family houses; another 4,145 residential units, ranging from apartments to condominiums, time-shares and villas; 1,200 hotel rooms; and 2.1 million square feet of commercial space. ChampionsGate's 1,204 acres are planned for a little more than 1,600 residential units, ranging from condominiums and time-shares to single-family homes; three golf courses; more than 4,000 hotel rooms; and 574,000 square feet of commercial space. Similarities aside, the developers view their resorts differently. Mitzner says ChampionsGate is a "seasonal playground" that will appeal to winter residents, some permanent residents and affluent people drawn by the project's many golf-oriented amenities. He said the development is very close to securing a 732-room Omni resort hotel that would rival the Ritz-Carlton now under construction in south Orange County and the Four Seasons Hotel proposed for nearby Celebration. The hotel would be located so that it served the golf courses. Ginn doesn't dispute Mitzner's prediction that Reunion Resort will end up with more permanent residents than ChampionsGate. Initial reservations and sales indicate that about half the development's buyers could be year-round residents. He sees Reunion Resort as a "family resort town that will bring together the elements of suburban seclusion, small-town America and hotel-quality vacationing in ways unmatched by any Central Florida vacation destination." Michael Beyard, a senior resident fellow at the Urban Land Institute in Washington, D.C., said that, when developers go head-to-head in the same market, it's because they think demand will be great enough for both projects to succeed. "Sometimes, that's not the case," Beyard said. "Sometimes both languish." The bottom line, he added, is that developers are risk takers. "The up-front costs in resort development are huge, and the risk is big, too," Beyard said. The presence of all those high-class hotel rooms in Osceola County, with meeting rooms and some exhibit space, doesn't concern Tom Ackert, executive director of the Orange County Convention Center. He said he views the resorts as a plus for his facility. For instance, he said, exhibitors using Orange County's sprawling convention center on International Drive may want to organize events at the resorts because of the golf amenities. Abe Pizam, a University of Central Florida tourism professor, thinks the industry will have to not only recover from the recession and last year's terrorism but also start a strong expansion for the two resorts to do well. He noted that time-share units compete with regular hotel rooms. "You build more time-shares, you need more demand," he said. Pizam does see tourism-related development moving southwest along I-4 from Orange and Osceola into Polk County. "There aren't too many places [near Disney] where you can do those things," Pizam said, adding that the two resorts were "smart" to grab locations so close to Disney's theme parks. Both Reunion Resort and ChampionsGate want to tap into the second-home investor market, which is very big on the relatively undeveloped southwest side of Disney World. Investors, many foreign, have been buying thousands of single-family homes in northwest Osceola and northeast Polk County in recent years. Buyers tend to use a home part of the year and rent it out the rest of the time. Big home builders like Centex Homes are putting in entire subdivisions targeted to this market. The trend is so strong in Polk that 30 percent of the county's $3.8 million in resort taxes last year came from rentals of single-family vacation homes instead of hotels, said Lynn Collins, executive director of the county's Central Florida Visitors & Convention Bureau. The Western Beltway is scheduled to connect with I-4 at the properties when it's built. Ginn hopes to build an overpass over the interstate to connect the east and west portions of Reunion Resort. Mitzner said RIDA has been interested in the area since it bought its first parcels of what now is ChampionsGate in the mid-1980s. "We always knew we wanted to be in the south I-4 corridor," he said. "That's where the activity is going to be." Ginn said Reunion Resort's location fit what he had spent 15 years looking for in a major resort destination. Both say they're ready for the competition. "How much better can it get?" Ginn asked. "It's the free-enterprise system at work." Ginn Co. (Reunion Resort) is run by President and Chief Executive Officer Edward Robert "Bobby" Ginn III. Ginn is a third-generation South Carolinian whose father was in construction. The Ginn family also has ties to timber and agriculture operations in South Carolina. Ginn's mother is an artist known for paintings of Charleston scenes. Ginn, 53, was born in Hampton, S.C. Two sons work with him in Ginn Co. and a daughter is still in high school. He has developed projects at Hilton Head Island, S.C., and Palm Coast north of Daytona Beach but recently shifted his development focus to Central Florida. His Central Florida holdings include Reunion Resort and Club, 2,300 acres; the Pine Island area in Lake County, nearly 1,700 acres; a planned business park on the GreeneWay near Orlando International Airport, 1,700 acres; and a development in Port St. Lucie, 1,400 acres. Apollo Real Estate Advisors LP and RIDA Development Corp. (ChampionsGate) are, respectively, a New York investment company and a Houston developer. Apollo manages capital for four real estate investment funds; since its formation in 1993, it has invested approximately $3 billion. RIDA is run by David Mitzner and his sons, Jacob and Ira. Founded in the 1970s, the company has developed retail centers, office buildings, distribution centers, homes and mixed-use projects. It developed Renaissance Center adjacent to Altamonte Mall in Altamonte Springs. David Mitzner is a native of Warsaw, Poland, who escaped the Holocaust during World War II by coming to the United States. He recently started developing real estate in Poland in addition to his U.S. projects.